We are sad to announce the passing of Eddie Stone. 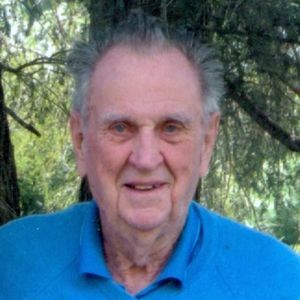 Edward H. Stone II of Wakefield, MA, passed away peacefully in Burlington on January 29, 2019, at the age of 100. He was born December 19, 1918 in Winchester, MA, son of Robert M. and Dorothy (DeLand) Stone. Edward grew up in Winchester, graduated from Winchester High School, attended Kimball Union Academy for one year, and graduated from Dartmouth College in 1941. After working for the family business, Stone & Forsyth Paper Co., for about one year, Edward entered the Army and graduated from Officer’s Training School. During World War II, his service involved troop logistics with the 24th Quartermaster Regiment, and, after the war, left the Army as a Captain. It was during this time, stationed in Horseheads, NY, when he met his first wife Jane E. Tipton, who predeceased him in 2008. For most of his adult life and right up until his death, Edward was an owner, trainer and breeder of thoroughbred horses which he raced at numerous tracks along the east coast from Rockingham Park and Suffolk Downs to Hialeah, FL. His horses won many important races including the New England Futurity, and some of his best horses were Full o’ Prunes, Jill’s Layup, and a current runner, Jump for Alex, which has been nominated for the 2019 Triple Crown. He was a member of the Massachusetts Thoroughbred Breeders Association and served on its board. As a public-spirited man with an excellent grasp of numbers, at the age of 84 Edward served as Chairman of the Wakefield Board of Assessors, becoming, it is believed, one of the oldest elected officials in Wakefield’s history. Besides his horses, Edward loved golf and was a member of the Winchester Country Club and subsequently, for over 50 years, a member of Bear Hill Country Club in Stoneham. In 2016, Edward was one of two surviving classmates to attend his 75th Reunion at his beloved Dartmouth. He was also an avid fan of the Celtics, Red Sox, and New England Patriots. Up until the month before his death, Edward was able to drive his own car and do his own food shopping. Edward is also preceded in death by his loving wife of over 50 years, Lois (DeVincent) Stone, by son Richard Stone of New Hampshire, and by his sister Ruth Stone Dwinell and her husband Jack of Sarasota, FL. Edward is survived by daughter Carol Stone of Rockport, Robert Stone and his wife Beverly of Winchester, and daughter Pamela (Stone) Custodio and her husband Richard of Wakefield. His five grandchildren are Carolyn Stone Berndt and her husband Luke of Washington, DC, Robert M. Stone III and his wife Kristen of Crownsville, MD, Jill Custodio of Brooklyn, NY, and Sara and Richie Custodio of Wakefield. Edward also leaves two great grandchildren, Elena and Alex Berndt. Edward’s entire family wishes to express its deepest gratitude for the compassionate care that the Bedford VA Medical Center provided to Edward in the last weeks of his life. His Funeral Service will be held in the McDonald Funeral Home, 19 Yale Ave., Wakefield on Saturday at 12:30pm. Visitation for relatives and friends will be held prior to the service beginning at 10am. In lieu of flowers, donations may be made to the Bedford V.A. Hospital, c/o Voluntary Services, 200 Springs Road, Bedford, MA 01730; Memo: In Memory of Edward H. Stone, Unit 78C.